So far it looks like Jeb’s running for a third George W. Bush term. Maybe he thinks it’s admirable to defend his brother, but it makes him seem overly sensitive. Touchy. They know how to push his buttons. They’re baiting him and he keeps taking the bait. Avoid seeming clannish. Jeb should put daylight between himself and his brother wherever he can. There’s no betrayal in that. It’s normal for siblings to have differences. 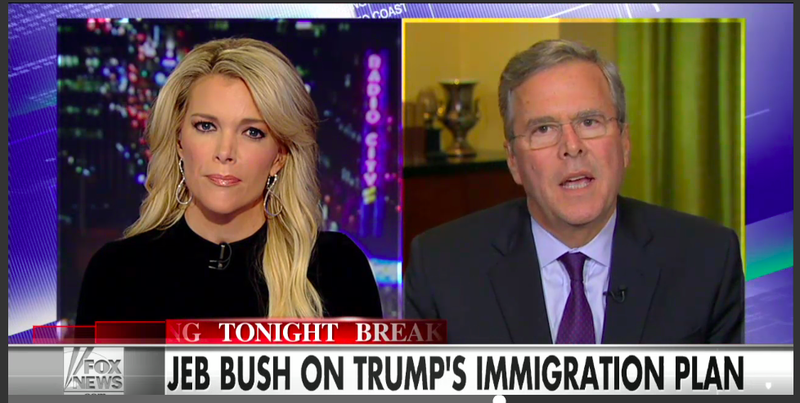 How is Jeb his own man exactly? We need to associate Jeb with new people. Avoid the old W. gang. If one Bush did so much to fracture the Republican Party, can another Bush do anything to help put it back together? We largely have W. to thank for the Tea Party and for what’s going on in the House right now. In light of that, why should Republicans consider Jeb? Some are calling for Jeb to drop out, but I think he’ll do better in debate with fewer people on stage. I hope he stays in the race.